Approximately 44% of all households in the United States have a dog, but if you’re considering adopting a pup of your own for the first time, it’s vital to realize that each and every breed has a distinct personality and therefore has different care needs. Knowing this, it shouldn’t be a surprise that some dogs are a bit more high-maintenance or hyperactive than others, like the Irish Setter. Irish Setters, which get their name from the third biggest island in the European continent, are beautiful and graceful dogs that require a fierce commitment and care routine. Here’s what you should know about caring for an Irish Setter before making the commitment to adopt one of your own. All dogs require some amount of exercise, but there are quite a few that require a very active lifestyle, and Irish Setters are just one example. Movement gets the brain going, and Irish Setters are known for their endurance and energy when it comes to taking walks and playing in the yard. If you’re interested in adopting an Irish Setter, you need to have a large, fenced yard that’s properly maintained as well. Otherwise, your Irish Setter could get bored and become hyperactive indoors. “A non-exercised dog means a bored dog, and this can create problems with destructiveness in the home. Playtime is also a good time to teach your puppy how to play gently. Don’t play rough with your puppy or use your hands as a means of chewing and playing. He associates the hand as being something he can bite or chew, and this may lead to other issues. Only use toys that are designed for dogs when you have playtime,” writes Maria McCutchen on Puppy Toob. While Irish Setters are great when it comes to interacting with older children, families with younger children should definitely proceed with caution. Irish Setters aren’t typically aggressive, but their high energy personalities may cause them to get unintentionally rough or rambunctious around young children, for example, knocking them over by mistake. But even if your children are older, it’s vital to teach them how to safely interact with any type of dog. Supervise play times to ensure that your children aren’t antagonizing the dog or making it uncomfortable in any way. The Irish Setter is characterized, in part, by its long and beautiful red coat, which needs thoroughly combed two to three times per week to remove and prevent tangles and mats. Ask your veterinarian for recommendations regarding the best type and quantity of food to provide, and make sure to keep a close watch over your Irish Setter’s teeth and ears as well. 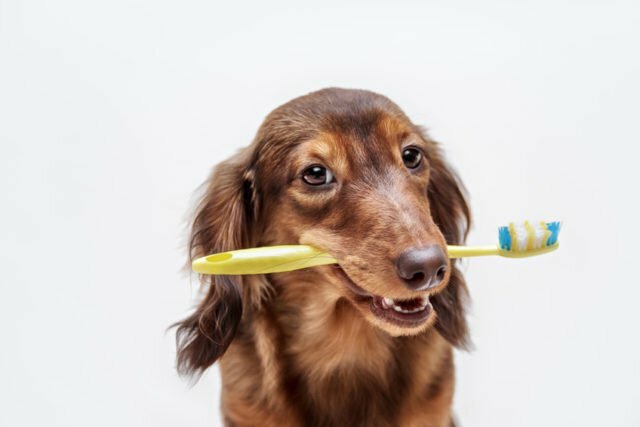 The average time people wait for another dental appointment is three years, and it can be easy to neglect your dog’s dental care needs just as much as your own. But it’s essential to brush your Irish Setter’s teeth frequently with a vet-approved toothpaste for pets to prevent dental issues. Similarly, make sure your Irish Setter’s ears are kept clean and dry to prevent infections and other persistent issues. Ultimately, an Irish Setter, just like any other breed of dog, can make the perfect addition to a family that matches their personality and can keep up with their care needs. That being said, it’s crucial to do your research before making such a major commitment.